Author and speaker Susan H. Lawrence is a gifted writer of women's Bible studies, two of which are entitled "Pure Purpose" and "Pure Emotion". She has graciously sent me several copies of each, and I would like to make them available to YOU - free of charge - for your own spiritual growth and edification. You're probably wondering, "Why would Marie do this, and what does this have to do with overcoming an eating disorder?" Well, I'll tell you why. Are you serious about growing in your relationship with God? You need to dig into His Word - daily. Struggling with life-dominating sin is a symptom of lack of intimacy and joy in your Father. He helps you by re-igniting the flame, but you must do your part as well in seeking Him daily. As I have always said on this blog, in counseling, and in my own book, If you are serious about change, you must spend time with God. Scripture is the only way in which He speaks and reveals Himself directly to us. 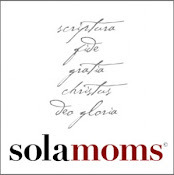 There are a number of good resources available which you could use to assist you in gleaning truth from God's Word (some of which I've reviewed on this blog), so when one comes around that speaks so specifically to women as Susan's does, I'm all too happy to recommend it. This isn't about the food. In fact, addictions are hardly about the drug of choice. 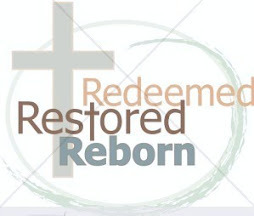 They are means of escaping pain - behaviors that have evolved from unbiblical responses to life's problems. Re-connecting with God through deliberately disciplining yourself to meet with Him daily (and be spiritually fed by Him) is the only way to experience true, lasting joy and contentment. How you approach your time in the Word is up to you. What matters is that you DO approach it! 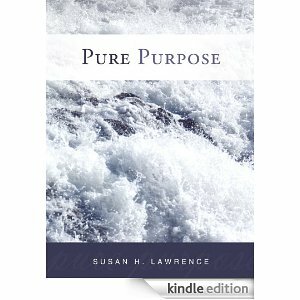 "Pure Purpose" is a 10-week study Susan has written which covers aspects of our reason for existence (to love, serve, honor and glorify God). Having a high view of God and His exhortation to service, compassion, humility, obedience, and discipline helps the reader shift her focus from herself (inward) to God and others (outward). The study gives "feet" to one's faith: moving beyond theology, how do we "walk out" these virtues we are told to "put on" (Eph. 4:24)? "Pure Emotion" is also a 10-week workbook which deals with the emotional pitfalls we women are particularly prone to, and how to re-direct our emotions biblically. Susan covers sinful emotions such as fear, jealousy, anger, anxiety and frustration; juxtaposing the unbiblical response to the obedient one. She also discusses peace, joy, and how to be emotionally "pure" - in other words, how to sanctify our emotions. The ultimate goal? Being transformed by the renewing of our minds (Romans 12:2) so that we more closely resemble the character of Christ (2 Cor. 3:18). 1.) Mention "Redeemed from the Pit" in a blog post. 2.) Link to my blog. 3.) Leave me a comment here telling me when you've done so (and which study you'd like). In preparation for writing the Pure Emotion Bible study for women, I asked hundreds of women about factors that affect emotions. Women were asked if factors such as finances, uncertainty, weather, music and more had positive effects, negative effects or no effect at all. Not a single of the factors listed was identified by a single woman as having no effect. We’re emotional beings. The people and situations surrounding us impact our emotional responses. We’re drawn to some situations because we experience them as positive, and we avoid negative experiences. It’s like cleaning your closet. Keep what you like and what feels good. Get rid of the things you’re tired of or don’t fit well. What about those negative emotions do we want to toss away? Why do we see them as negative, and should we always avoid them? First, the messages we’ve paired with some emotions are devastating to us. Consider the messages you’ve stored about fear. Jealousy. Anger. Anxiety. Guilt. Whether or not the messages we attach to emotional experiences are true, they wash over us as we experience similar emotional experiences. What voice interrupts you in the midst of your emotions? • When you’re rejected by a close family member, do you feel worthless? 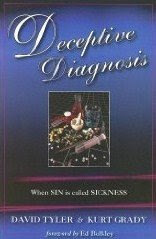 • When you’re anxious about a test result, do you feel incapable of proceeding? • When you’re fearful, do you feel victimized? Not all messages that accompany our emotions are inaccurate. God can speak to us in all times, and God is an emotional God. Emotions saturate Scripture. God is an emotional God but not in the same way we talk about an emotional woman or emotional person. However, he’s certainly aware of our runaway emotions. We can’t escape from God’s presence. And if we let him, God will replace the untruthful emotional messages with truthful messages reflecting his character, will, and commands. Another reason we experience emotions negatively is we can feel victimized by our emotions. Emotions can make us feel as if we’re on a board game. Perhaps you know some of the rules. We also use emotions to mask other emotions. And we try to replace negative with positive emotions, but the truth is – negative emotions can be energizing. We might not like them. We might complain about them. But we’d rather feel something than nothing. Negative emotions are often more intense than positive emotions. We’re energized and consumed by them…and less willing to give them up. We want something to change, but we’re not willing to be changed. I want God to work through me, but I have to constantly remind myself that in order for God to work through me, I have to be willing to allow him to work in me. He’s changing me from the inside out. And it’s not easy for me to allow him to change me. God didn’t mess up his design of you. He’s not capable of messing up. He created you in his image. He has a plan for your life. He even knew what mistakes you’d make throughout your life, and he still loves you and wants nothing more than to be in an ever-deepening relationship with you. He will pursue you, tapping you on the shoulder, whispering in your ear, and knocking on the door of your heart so that your daily life – including your decisions, attitudes, and yes, emotions – are impacted in the purity of who he created you to be and the everyday messiness of living on earth as you move ever closer to eternity – with God or without him. If our emotions aren’t reflecting the character of God, we’re probably distorting something and need to get back on track. Our anger doesn’t reflect his anger. Our jealousy doesn’t reflect his jealousy. Our guilt doesn’t reflect his guilt. But we can grow closer to God, getting to know him better, and committing to reflecting him more and more on a daily basis. That’s what the journey of Pure Emotion – the emotional experience – is all about. Susan Lawrence is passionate about equipping and encouraging women through writing and speaking. She’s the author of two Bible studies, Pure Purpose and Pure Emotion. She loves dark chocolate and long walks, especially when her toes are in sand! Check out Susan’s words of encouragement and send her a note at http://www.purepurposebook.wordpress.com./. You can also connect on at www.facebook.com/PurePurpose or www.twitter/susanhlawrence. Marie - I truly enjoy reading your blog. You have a wonderful gift to share the truth of Christ as it pertains to healing from an eating disorder. I linked your blog to mine. I would be interested in Pure Emotion especially, but both look like great reads! Blessings to you as you are obedient to bring hope to all who read! Hi Marie - I just commented, but didn't leave my contact info! 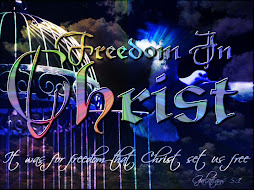 It's jenniferleannbarnes@gmail.com and my website is truereflectionsinchrist.com. Thanks! 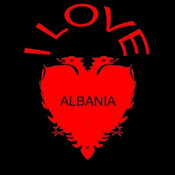 I posted :). Pure Purpose looks interesting to me...actually both look great! Thanks! Done. Pure Purpose is exactly what I need right now... thanks so much for doing this. Terrific! You four ladies have the studies. Thanks, ladies, for the comments. I'm thrilled you're going to be studying Pure Purpose and/or Pure Emotion. I pray you'll be blessed as you dig into God's Word and let him pour into you. He's passionate about you! Keep in touch!